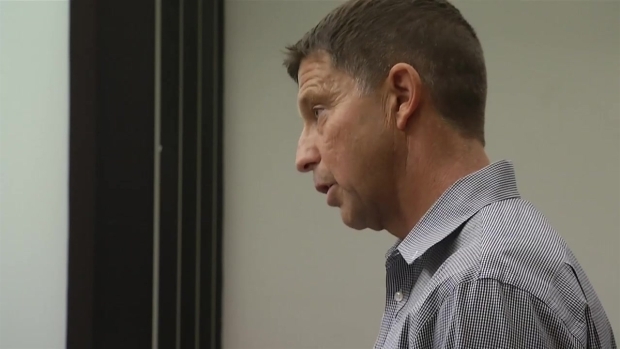 In an emotional courtroom Monday, the former CEO of WishWarriors was sentenced to a year behind bars, five years of probation and continued restitution payments for stealing money raised to help San Diego families with children battling cancer. Brianna King, the former president and CEO of the San Diego cancer charity, pleaded guilty to grand theft in September for stealing thousands of dollars in connection to her time at the helm of the nonprofit WishWarriors. The district attorney’s office opened a criminal investigation into King after an NBC 7 investigation revealed children profiled by the charity never received the donations they were promised. New details emerged in court Monday about how King spent the money raised to help the families. The prosecutor said King would solicit items and gift cards from stores as donations to auction off at fundraisers, but she would instead use them herself. One example discussed in court involved King changing her name to “Brie Cummings” and using spa gift cards for a facial and other services. The prosecutor said other things King spent the donation money on included spa treatments, hair salons, Nordstrom, Target, Walmart, Legoland tickets, restaurants, car payments and other personal bills. He said she used the charity's bank account as if it were her own. During the sentencing a pregnant King apologized to the families and her former colleagues at WishWarriors. 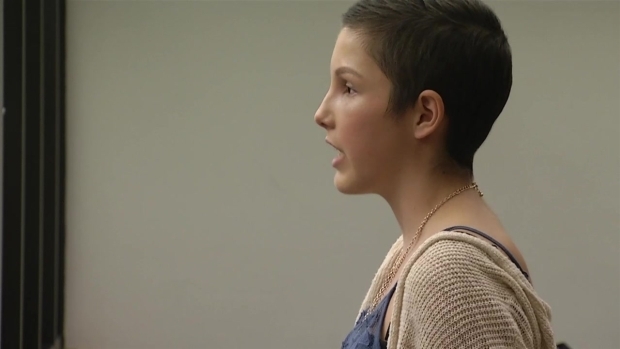 Brianna King, who pleaded guilty to grand theft for stealing money from her cancer charity WishWarriors, spoke in court as she was sentenced to jail. King told NBC 7 Investigates she did not wish to discuss the sentencing and has refused to answer any questions about the charges and investigation. Her attorney asked for leniency in her sentencing because King is attending counseling, is enrolled in money management and theft prevention classes and, according to her doctor, her pregnancy is considered high-risk. In court, prosecutors read a letter from one of the families WishWarriors promised to help. Three other people also spoke before the judge Monday: the attorney for WishWarriors, Angelica Simmons; the father of one of the children battling cancer; Rodney Harvey; and his daughter who was battling cancer, Kasey. She is now in remission. Kasey Harvey, a victim of ex-WishWarriors CEO Brianna King, spoke at King's sentencing on Dec. 21, 2015. Kasey was diagnosed with Rhabdomyosarcoma cancer late last year. Rodney and his family helped promote WishWarriors’ “Kick Cancer” Golf Tournament in hopes the cancer nonprofit would financially assist them as they tried to save their 13-year-old daughter’s life. Rodney described how he was “sick” to find out King was using the money raised for Kasey at the spa on the same days his daughter was being transported to the hospital for chemotherapy treatments. Rodney Harvey's family was taken advantage of by the charity WishWarriors and its CEO, Brianna King. He read this statement at King's sentencing. The judge sentenced King to a year behind bars with one day already served for when she was arrested in July. Her term in custody will begin April 11, 2016 and is being delayed until after her baby is born in March. King was also ordered to continue making restitution payments for what she stole from the charity. She has already paid $10,000 but still owes more than $8,000, according to prosecutors. The judge ordered King to make payments of at least $100 a month. In court Simmons said King’s actions have impacted the charity more than just financially. The negative publicity has given WishWarriors a black eye in the charity community. According to her, local businesses do not want to work with them. She said right now, the charity is not able to function as it was set up to and will have to find another way to help children battling cancer. Click here to see the statement Simmons read in court. In addition to paying the money back and serving time behind bars, King was sentenced to five years of probation and is not allowed to participate in any charity work where she may have financial responsibilities. During the sentencing, King was wiping tears from her face as she apologized to the father of her children for the embarrassment it has caused him at work. He is an officer with the San Diego Police Department. King’s parents attended the sentencing Monday. King’s father told NBC 7 Investigates he’s “appalled” at his daughter’s actions and they haven’t talked to King since July, when she was arrested. Prosecutors also highlighted King’s previous criminal record as a reason for why she should be sentenced to time behind bars. A 2005 misdemeanor complaint in Riverside County alleges King wrote bad checks, totaling $377, to two stores. After not appearing in court, an arrest warrant was issued for her. NBC 7 Investigates first reported on King’s criminal history in July. In San Diego County, King was sentenced to probation after pleading guilty in 2004 to four misdemeanor counts for using fraudulent checks and burglary. Though she was ordered to pay $2,905, probation documents show she never paid the full amount. In 2007, King pleaded guilty in Orange County to felony charges for burglary and writing bad checks.